He was supposed to be a meal, but a fearless goat became friends with his predator instead. 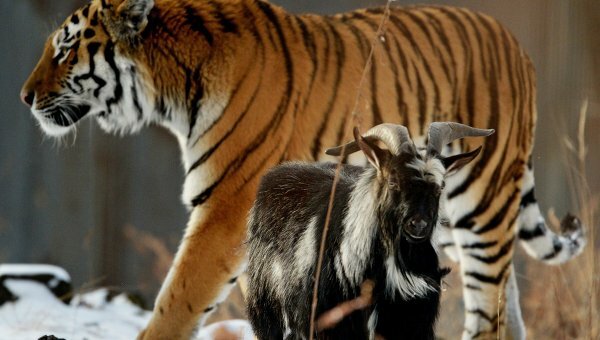 A few days ago a goat, since named Timur, was sent into the enclosure of a Siberian tiger called Amur, who lives in the Primorsky Safari Park in Russia. The park’s director said that Timur was meant to be food for the hungry predator. 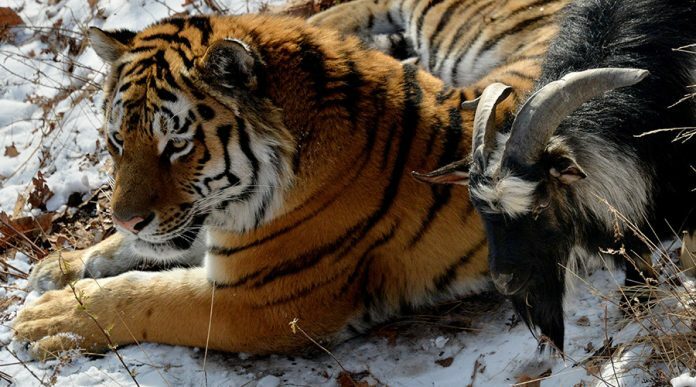 “Year-round, we feed the tigers live prey twice a week,” he told RIA Novosti, adding that the Amur tiger had killed many goats, including large ones, in the past. Remarkably, despite an initial confrontation between the two animals, the park says there seems to be no animosity between them. Timur even forced Amur out of its bed, forcing the tiger to sleep on the roof of his cave for several nights. 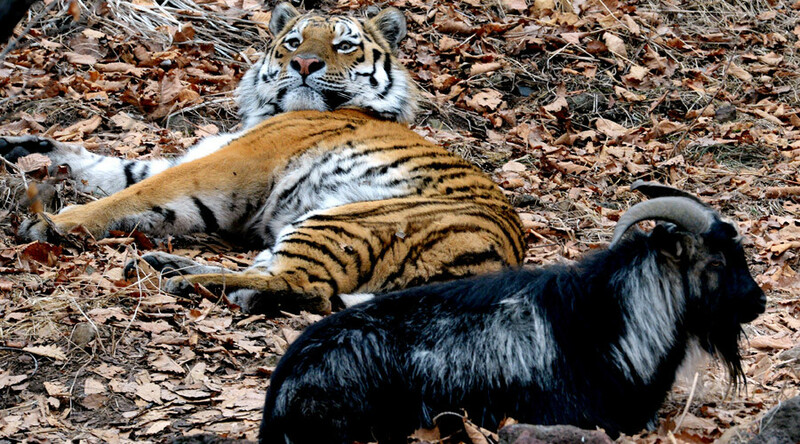 The tiger and goat now appear to have developed a close friendship. “Nobody taught the goat to be afraid of the tiger. So, Amur decided not to mess with the fearless goat, and didn’t eat it,” the zookeepers wrote on the park’s website. “During the day, Amur and Timur walk together like a pair of good friends. Timur takes Amur for an alpha male, and follows it everywhere. Timur’s fearlessness and caution have led to such a paradoxical result,” they said. People are now calling on the zookeepers to resettle the goat, saying its life is worth saving. Fans of Amur and Timur can finally keep close tabs on the animal buddies 24/7 – thanks to a reality show that has been launched at the Far Eastern Safari Park.